Enjoy our Sandy Beach on Lake Huron With All the Amenities of Home! Excellent place. Very clean and comfortable. Feels like a second home. Great people. Both the continental breakfast area and the front desk were staffed with delightful female staff members who were outgoing and generally concerned about our stay and well being. Very talkative and inviting! Where to find Tawas City hotels near an airport? Where can I find hotels in Tawas City that are near tourist attractions? 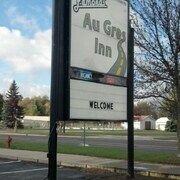 After a hotel in Northern Lower Peninsula, particularly in or near Tawas City? About 3 hotels and apartments lie within easy driving distance of the center of Tawas City. 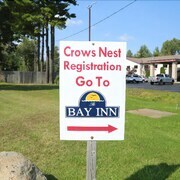 If you are wanting to book a hotel that is only 3 kilometres (2 miles) from the Tawas City city center, Bay Inn and Crows Nest Inn Tawas are ideal. The The Pinewood Lodge is one of a few cheaper places to stay in Tawas City. 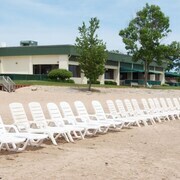 3 kilometres (2 miles) away from the middle of Tawas City, is the Tawas Bay Beach Resort. The Huron House Bed and Breakfast is 18 kilometres (11 miles) away. 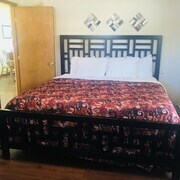 The Scenic Resort as well as the Aspen Motor Inn are alternative places to book accommodation around Tawas City. After you have spent time in Tawas City, ensure you allow time to investigate Northern Lower Peninsula's other scenic and cultural delights. Northern Lower Peninsula has lakes. Commonly visited Northern Lower Peninsula visitor destinations include lighthouses. Tourists in this region of United States of America commonly enjoy snowboarding. The nearest places to stay in Northern Lower Peninsula include Houghton Lake and Houghton Lake. Houghton Lake is 100 kilometres (62 miles) to the west of Tawas City, while Houghton Lake is 100 kilometres (61 miles) to the west. 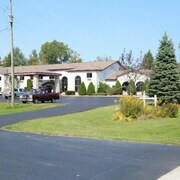 Houghton Lake hotels and apartments include the Beachfront Hotel and American Inn and Suites Houghton Lake. 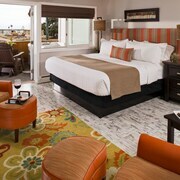 While apartments are the Lakeside Resort and Conference Center and American Oak Resort. If sport is what you love, make sure you visit The Dow Event Center, which is 100 kilometres (61 miles) to the south of Tawas City. If you are keen on booking a room nearby, make a reservation in the Hampton Inn & Suites Saginaw or Montague Inn. Our travel listing is an excellent way to learn more about Tawas City. What are the most popular Tawas City hotels? Are there hotels in other cities near Tawas City? 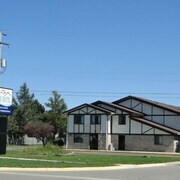 What other types of accommodations are available in Tawas City? Explore Tawas City with Expedia.ca’s Travel Guides to find the best flights, cars, holiday packages and more!